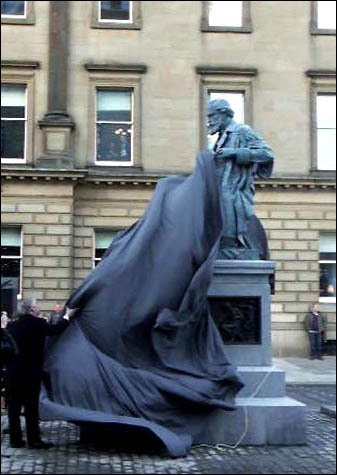 Commissioned by The Royal Society of Edinburgh. 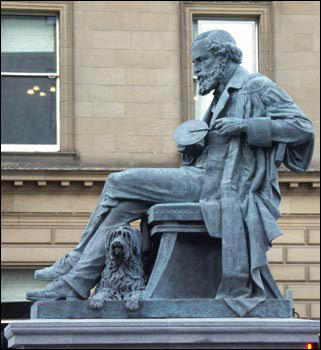 James Clerk Maxwell, mathematician and theoretical physicist, was born at 14 India Street in Edinburgh's New town. His most significant achievements was his classical electromagnetic theory which synthesized all previous observations and experiments of electricity, magneticism and even optics into one consistent theory. Maxwell's equations demonstrated that electricty, magtetism and light are manifestations of the same phenomenon, the electro magnetic field. He also developed the Maxwell distribution, a statistical means to describe aspects of the kinetic theory of gases. His discoveries changed the world of physics forever and made possible future leaps in scientific progress in fields such as relativity and quantum mechanics. Maxwell even created the first true colour photograph. His massive contribution to the world of physics influenced 20th Century scientists such as Albert Einstien who kept a photograph of Maxwell and Newton on his study wall.